Do you feel like it's time for your business to grow, but you're not quite ready for a larger office space or storefront? Is your business undergoing renovations? Do you have extra files and records or inventory taking up precious space that could be better utilized? 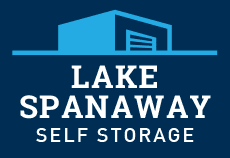 Commercial storage in Tacoma at Lake Spanaway Self Storage is an excellent option for growing businesses. When you're looking for a professional advantage, consider commercial storage. Various Sizes Available - Every business has different needs. At Lake Spanaway Self Storage we have storage units in a variety of sizes to match the specific needs of your business. Commercial Deliveries Accepted - Skip that extra trip to your storage unit to drop off deliveries made to your business. We gladly accept deliveries on your behalf. Extended Access Hours - We know not all businesses operate on a 9am - 5pm schedule, which is why our office hours extend from 7am - 10pm. Access your storage unit at your convenience. Drive-in Access Available - Commercial storage customers find our ground floor units with drive-up access especially convenient for loading and unloading items, be it extra office furniture and equipment or excess inventory. Knowledgeable Staff - Our friendly staff is well versed in everything self storage. We're on-site and here to help you with all of your commercial storage needs in Tacoma.